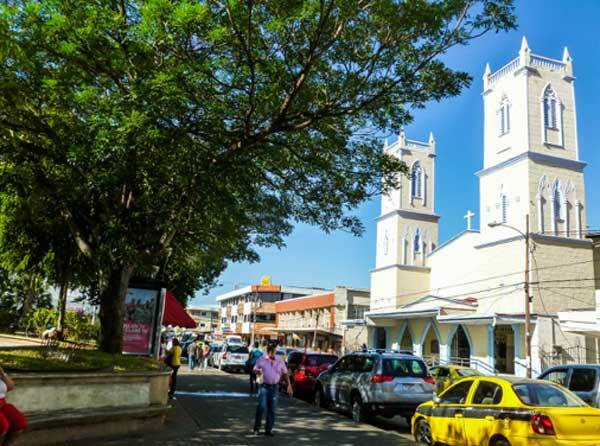 David, the capital of Chiriquí Province in western Panama, is becoming more and more popular as expats discover its convenience and affordability. David is Panama’s third-largest city, with a developed infrastructure, but a much lower cost of living than bustling Panama City. It serves as the commercial, business, transportation, education and healthcare hub for all of western Panama. Yet, with no skyscrapers, it’s a very manageable city in the midst of the country’s “bread basket” agricultural region. There aren’t many downsides to life here, according to the locals and expats, though if you don’t like the heat, David may not be for you. With daytime temperatures in the low 30s C, it’s known as Panama’s warmest city during the dry summertime season. In David, you can visit the old town with its stone cathedral and stroll to the central park, with its volcano-shaped fountain in the middle of the downtown business district. You’ll find spacious shopping centres, college campuses and middle-class neighbourhoods. Relax at a pavement café where you can sip on a cold beer or a cup of highland grown coffee for about a buck. David has a lot to offer as a retirement destination. 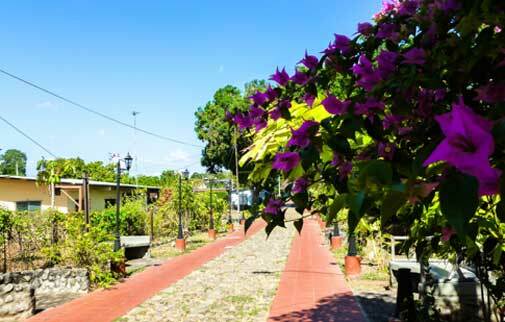 As the main city of Chiriquí Province, it has a solid infrastructure with all the amenities you might want, such as high-speed internet, Pay TV and excellent mobile phone coverage. You’ll find plenty of shopping options for food, clothing and home furnishings, as well as services including banking, insurance and auto care. Healthcare is accessible and affordable here, with two full-service private hospitals and two public facilities. The international airport has daily flights to and from both airports in Panama City. Compared to other popular retirement communities in Panama, David has an attractive cost of living. And with the discounts afforded by the Pensionado Visa, couples report living here comfortably on $1,900 a month. Expats have been settling in and around David for a number of years and sometimes gather informally. Rather than a highly organised group, expats around David tend to socialise with close friends on a more personal level. A fulfilling lifestyle awaits you in Chiriquí Province and David is at the centre of it all. Here you can go out to eat at a family-owned eatery and spend $4 for a home-cooked meal or as much as $35 for a chef-prepared dinner. There are two multiplex cinemas and several casinos in town for a fun evening out. Outdoor activities abound in and around David, from cycling and hiking to bird-watching and deep-sea fishing. 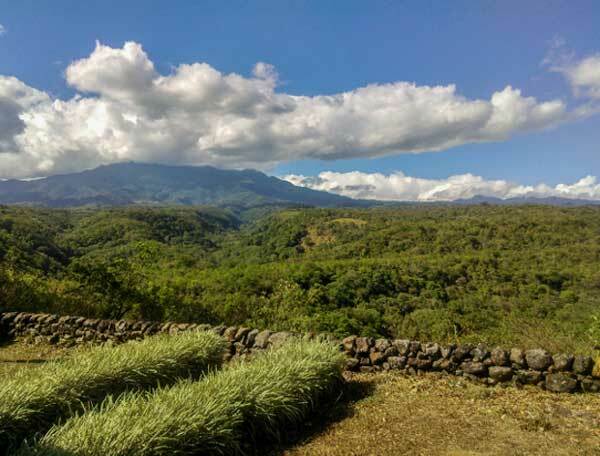 You’re only 40 minutes from the cool highland rainforest, where you can zip through the canopy or trek to the top of a volcano. Or go 30 minutes in the opposite direction to the sunny, unspoiled Pacific shoreline for kayaking or beach-combing. Take your pick! A major advantage of David is its proximity to Boquete, the cultural mecca and expat haven of western Panama. With a weekly market, art and photography exhibits at the public library and a busy community theatre, there’s always something to do in Boquete, plus it’s just 30 minutes from David. It’s a simple fact, your money goes further in Panama and especially in David. With no heating expense and optional A/C, your utility bill may be as low as $48 a month. Internet, Pay TV and phone service may total about $140 a month. Living in this agricultural region assures access to fresh produce, year-round. A week’s supply of assorted, locally grown fruits and vegies from the produce stand costs about $11. Meats, eggs and local dairy products generally cost less than in Australia. Canned goods, staples and bakery goods all cost less if they’re not imported. A couple might spend $415 to $625 a month on groceries and household items. Most expats have their own vehicle, and the cost of insurance and registration is very low. Filling up your car in Panama also costs less than in Australia. You can expect to be handing over up to 94 cents per litre of fuel. Others choose to rely on public transportation, which is easy to do with frequent, reliable buses and taxis. The bus from David to Boquete costs all of $3 and taxis in town are about the same. Lawn care and maid service are so affordable that many people hire both, giving them more free time to enjoy life. A full-time, live-in maid can cost you as little as $346 a month, while a part-time maid will charge about $21 per visit. Their services usually include cleaning, laundry (no ironing) and can include cooking and childcare too. David is a city of over 164,000 people, providing a large diversity of housing options for renters. Living in David affords you all the amenities needed as an expat; great restaurants, shopping, healthcare and entertainment are all within a 15-minute drive. The city is also centrally located within the province of Chiriquí, allowing for an easy 30-minute drive to the beach and the Boquete region. The downtown area has several apartment complexes and smaller homes for rent. You also have the choice of renting in one of the many urbanizacións (neighbourhoods) just outside of the city, which have a more relaxed, country feel. All areas of the city, including surrounding subdivisions, have access to city bus routes and taxi services. You can find homes and apartments to rent in David for as little as $550 a month. 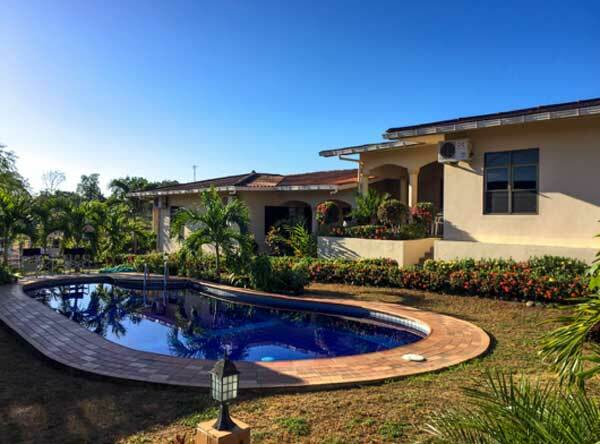 These are typically unfurnished Panamanian-style homes within walking distance of shopping, medical and transportation services, which can make them ideal. They usually have two bedrooms and one or two bathrooms. The kitchens in these homes are designed to accommodate smaller sized refrigerators and stoves. The living rooms open to small dining areas. Washing machine and clothes dryer hook-ups may be inside or on the back-porch area. The lots themselves are generally large, with trees to provide shade and most have carports. These types of rentals generally will not have air conditioning. Most homes in this price range will give you around 93 square metres of living space. In Panama, unfurnished means there are also no appliances with the rental. However, many expats find unfurnished rentals more appealing if they have shipped across their own belongings or prefer to furnish a home themselves. Furnished rentals of condos, apartments and homes start at $900 a month, depending on where they are within the city. David now has two gated communities of condos, one of which specialises in furnished rentals for expats. These condo rentals have two bedrooms and two bathrooms, covered parking and swimming pools. You can also find upscale neighbourhoods that have larger homes for rent for upwards of $1,040 a month. These homes tend to have air conditioning in addition to larger kitchens, back porches and private, landscaped yards. It is common in David for your lease to also cover garbage and water. The electricity bill will be in the name of the owner, and the rental agent or owner will send you the electricity bill every month to pay. You will need to set up your own account for Pay TV, phone and internet. Generally, rentals will not have alquiler (rental) signs posted. The easiest way to find rentals in David is by talking to other expats or locals. You can also contact local real estate offices, get on expat forums where rentals are listed or find rental agents who work with expats and know what they are looking for. The rental market in David does not have a low season or high season of occupancy, so it is always easy to find a good selection of rentals in your price range.